Declawing cats is extremely inhumane. It's the equivalent of removing your fingers from the first knuckle! Contact your elected officials and demand that they enact a law to stop declawing. Cats make wonderful pets! No two cats have the same personality. 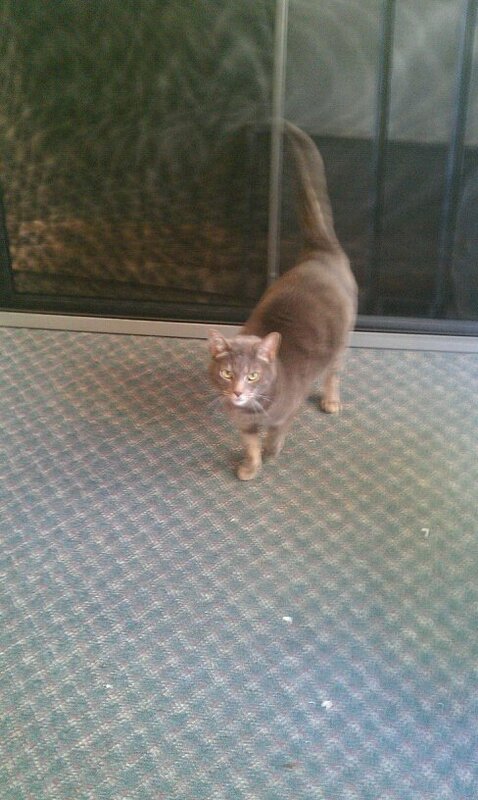 You have cats that are very aloof to those who crave (like mine) the attention of their owners. The first dometication of the cat is lost to history. It had been thought for a long time that ancient Egyptians domesticated them. 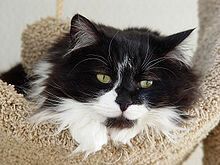 Discovers in the past few years have pushed the first domestic cats back to about 8,000 BC. There's a breed of cat for everyone - even those allergic to cat fur! I personally like the short haired cat. My cat Archie is a short hair. Long hair cats are good, too. You can also have a long hair cat. All cats shed but long hair cats shed even worse. 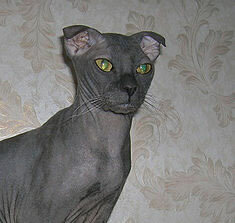 There are also several breeds of hairless cats such as this Ukranian Levkoy. All pictures on this page except those of Archie are from Wikipedia.org. The video is from Kitty Cat Bliss.